On Tuesday 13th October, almost 100 disabled fitness professionals, including Westminster Gym’s own Dorit Chomer, celebrated the success of the Instructability Programme at The Village Hotel, Watford. Dorit is a true inspiration to disabled people who want to live a more active lifestyle. As well as injuring her spine in a parachute jump 30 years ago, she had also suffered two strokes and had to undergo heart surgery. She worked as a volunteer fitness instructor at the Parliamentary gym, which has been managed by Jubilee Hall Trust since 1999. During her time there, she also became closely involved with the ParliAble scheme – a Workplace Equality Network which supports disabled Parliamentary staff and is championed by Baroness Tanni Grey-Thompson. Guests at the Instructability event, including Jubilee Hall Trust CEO, Phil Rumbelow, heard how the scheme had supported over 200 disabled people to qualify as fitness professionals, and that instructors have contributed 20,000 hours of voluntary service to the leisure industry to encourage more disabled people to feel welcome and supported in the gym environment. Both Dorit and Jubilee Hall Trust were presented with certificates celebrating their partnership and achievements, and Dorit was also singled out for a special award for promoting the scheme even when she travelled to Israel! 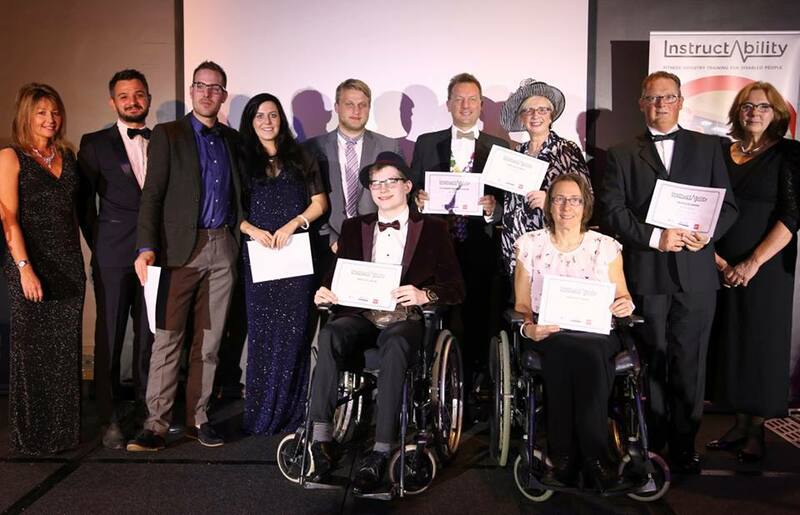 The awards highlighted the capacity of the scheme to engage disabled people in fitness activities, led by instructors who are experts from experience in areas such as stroke recovery, mobility issues and sensory impairments. The evening culminated in a glow stick extravaganza as visually impaired instructor Michelle Felix and fellow graduate Sam James, who has cerebral palsy, led the guests in an energetic Clubbercise session.